Intern Gateway has recognized itself among the leading and top-rated graduate employ ability specialist in the country. Our partner network includes some of the leading names across multiple industries, both nationally and overseas. Our main activities include industry placement programs, training and workshops, and online employ ability events. Intern Gateway has completely devoted itself to exploring and providing the right employment opportunities to bright graduates like you, who can contribute for the betterment of the society. We believe in cultivating a larger-than-life experience, taking ourselves, students and partners on a growth-oriented and performance-driven journey. At Intern Gateway, we consider students and businesses as our respective business partners who deserve the best services possible. 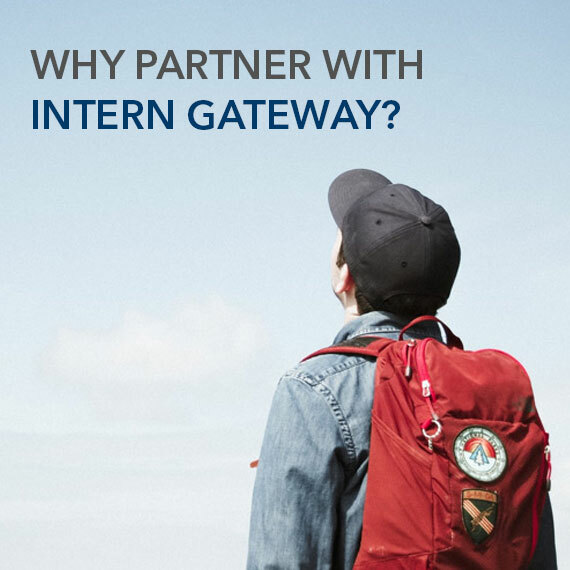 In a short span of time, we have constructed a strong and collaboration-driven network encompassing over 4000 companies that value Intern Gateway as a premium brand. We collaborate to the extent that internship and placement programs are customized as per the client needs, be it a student or an employer. We take pride in gaining complete knowledge and understanding of our clients, which enables us in implementing highly effective business strategies that prove to be mutually beneficial in the end. Our track record of organizing and implementing graduate development and recruitment programs speaks for itself. Our partnership extends from small-scale companies to large-scale corporations, including Rio Tinto and BP Australia to name a few. As for the students, they receive the benefit of acquiring employ ability skills that are needed to prosper in the various walks of life. We take things seriously and pay consideration to industry best practices in order to create truly beneficial programs.